Some dogs are prone to chronic ear infections due to allergies, the way their ear canals are shaped, or because they are swimmers that often have water trapped in their ears. Other dogs only get occasional ear infections. Puppies (and more rarely adult dogs) might suffer from ear mites. 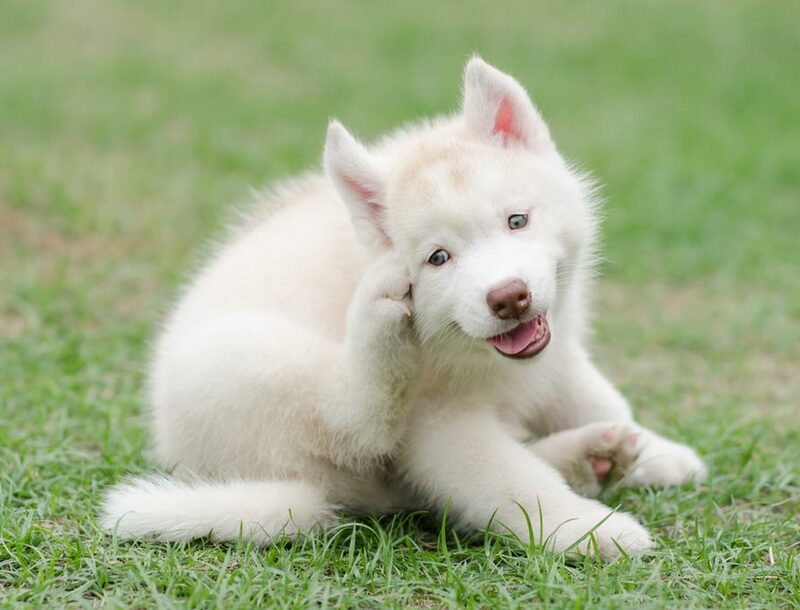 All of these ear conditions are uncomfortable, itchy, or downright painful for dogs, and one of the ways they respond is to scratch at their ears with their back paws. This often makes the problem worse because it can injure the skin outside or inside of the ears, leading to bleeding and skin infections. It can also leave the dog prone to ruptured blood vessels in the ear flaps, aural hematomas, which are painful and difficult to treat. How Can Soft Paws® Help with a Dog's Ear Problems? Luckily, Soft Paws® can help keep your dog a little more comfortable while you're treating the ear condition. Soft Paws® vinyl nail caps cover the dog's claws, and they are soft and blunt. So when your dog scratches while wearing them, the chance of skin injury is significantly decreased. Simply apply them to the claws on your dog's back feet to protect him when he has an ear infection or mites. Of course, your dog should still be seen by a veterinarian, diagnosed, and treated for whatever underlying condition is causing the ear discomfort. But using Soft Paws® while you do that can help decrease the likelihood of secondary problems that will only add to your dog's pain and suffering.